Tattenhoe (SP83203375) lies at the south west corner of Milton Keynes, between Westcroft and West Bletchley. Its green spaces include Howe Park Wood, and Tattenhoe Valley Park, which follows the Loughton Brook from Furzton Lake through Emerson Valley, Tattenhoe and Tattenhoe Park to the Bottledump Roundabout. Apart from the brook, the Valley Park contains a variety of habitats including fields, meadows, hedgerows, ponds, and the small woodland, Water Spinney (SP83253335). Both the Park and Howe Park Wood are owned and managed by The Parks Trust. Tattenhoe’s many habitats are rich in bird species. 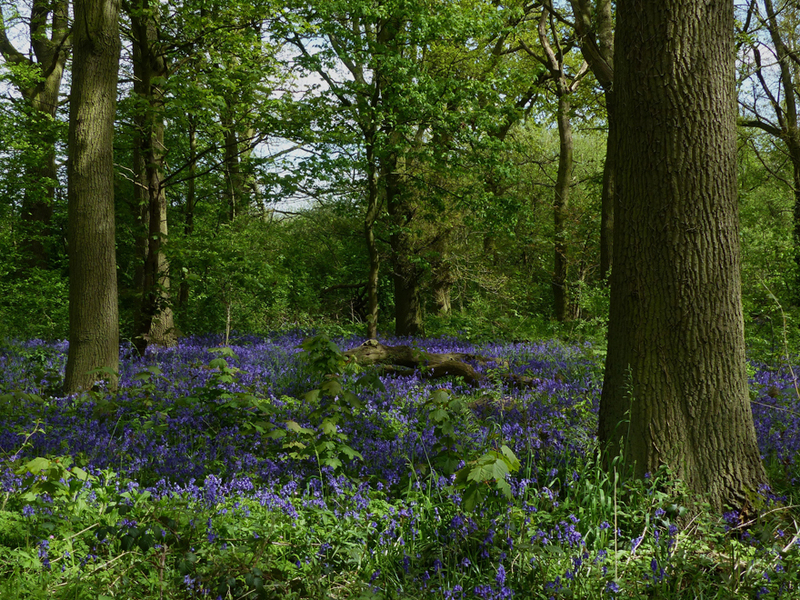 The woodlands are home to Sparrowhawks and Tawny Owls, and Water Spinney has a well-established rookery. In late spring and summer, Spotted Flycatchers may be found along the woodland edges. Other breeding summer migrants include Blackcap, Garden Warbler, and Common and Lesser Whitethroats, while Wheatear and Whinchat visit on passage. Kingfishers and Little Egrets are seen regularly by the brook and its neighbouring ponds, where in summer Hobbies hunt for dragonflies and damselflies. 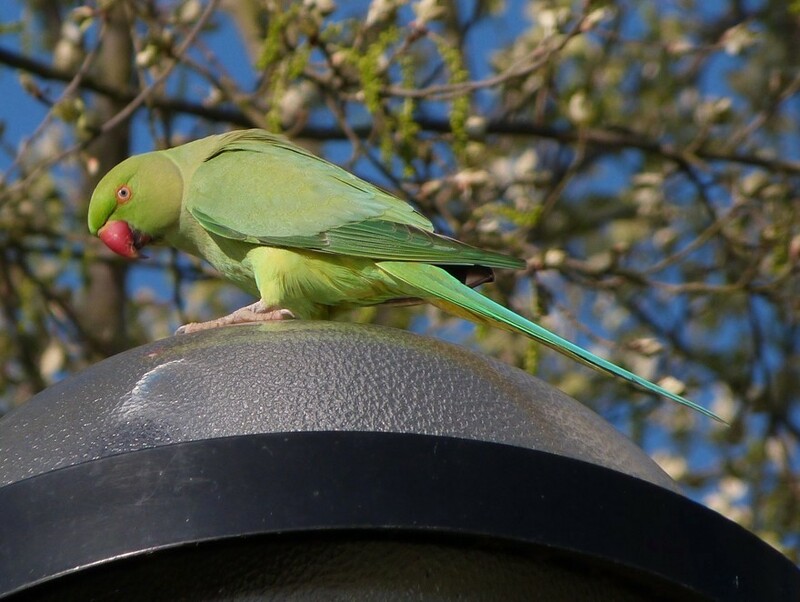 In recent years, Peregrine, Raven and even Ring-necked Parakeet have also been recorded. Over 20 species of butterfly have been recorded in Tattenhoe, including Marbled White, Common Blue and the scarce Dingy Skipper, as well as migrant Painted Lady and Clouded Yellow. It is also one of a few areas in Milton Keynes where the Small Heath is still found. On summer evenings, Purple Hairstreaks can be seen along the woodland edges, flying around the tops of Oak trees and occasionally basking on branches closer to the ground. Notable day-flying moths include Chimney Sweeper, Scarlet Tiger and Hummingbird Hawk-moth. 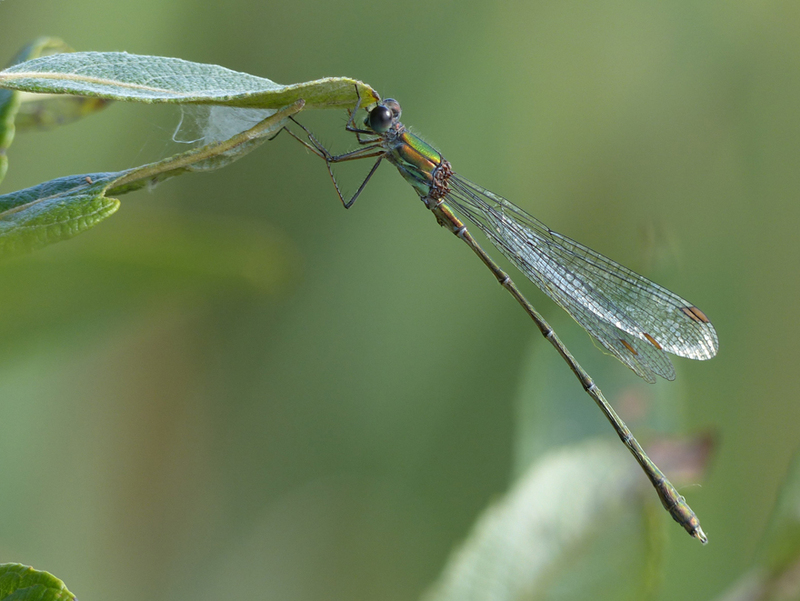 Many of Buckinghamshire’s dragonflies and damselflies breed in Tattenhoe’s streams and ponds: from common species like the Southern Hawker, Black-tailed Skimmer and Banded Demoiselle to the more exotic, like the recently-established Willow Emerald Damselfly, which, was recorded for the first time in the county in September 2016 (at its most westerly location to date) by Harry Appleyard. In June and July swarms of Azure and Common Blue Damselflies may be seen mobbing Brown Hawkers and Broad-bodied Chasers as they lay eggs around the reed beds, while the Emperor, the town’s largest dragonfly, hunts for insects above the meadows alongside the brook. Some species, like the Common Emerald, Migrant Hawker and Common Darter, can still be found well into the autumn. 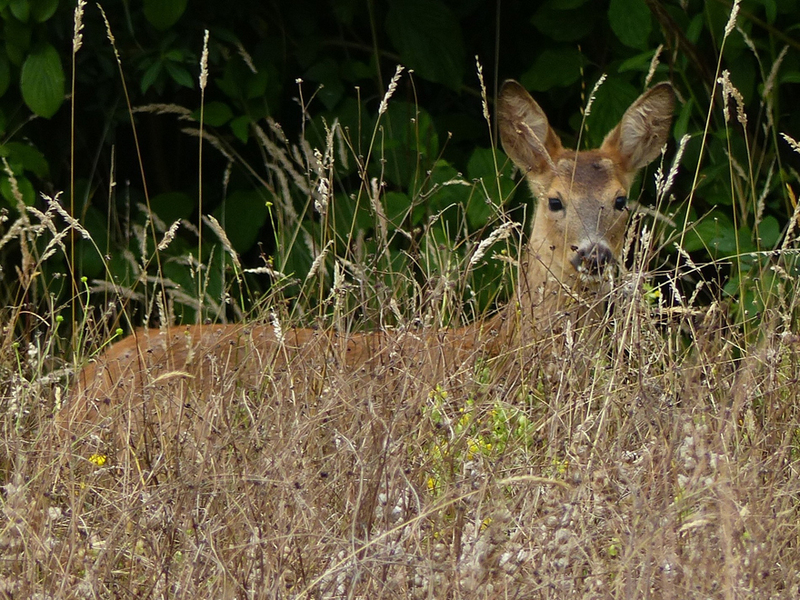 Foxes, Badgers and Muntjac deer may be encountered throughout the linear park and nearby wooded areas, and in recent years Roe deer have been also been spotted several times. Smaller mammals such as Bank Vole, Water Shrew and Weasel are occasionally seen, and if you visit around dusk in spring and summer, you may also spot Hedgehogs and several species of bat, including Common Pipistrelle, Noctule and Serotine. In early spring, Common Frogs and Toads are frequently seen migrating to their spawning ponds, where they gather in large numbers. 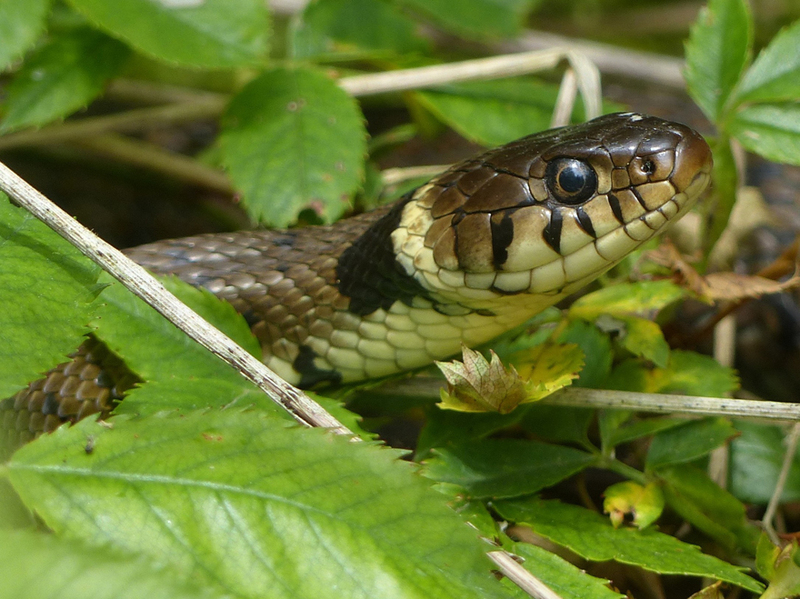 Common, Palmate and Great-crested Newts are also resident, and if you are lucky you may see a Grass Snake. 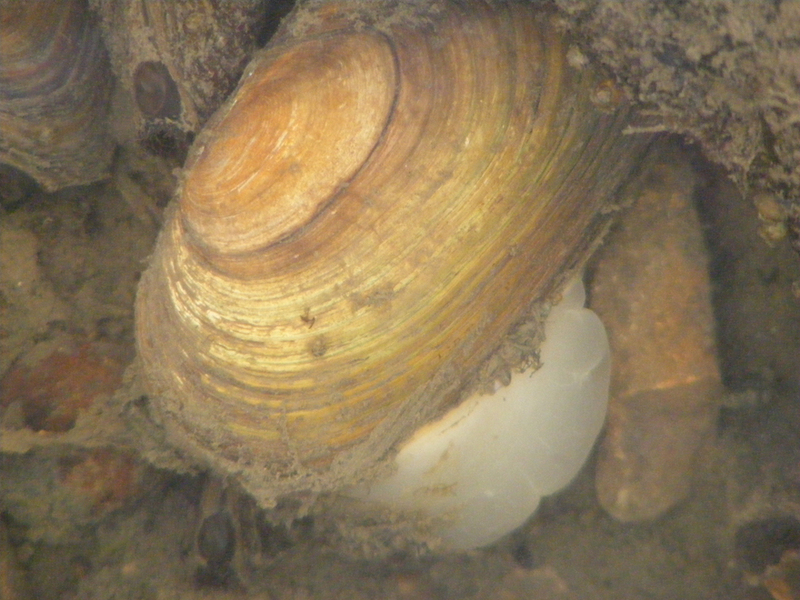 The brook and ponds are also home to Sticklebacks and small shoals of Rudd, with Swan Mussels in the mud and gravel. Tattenhoe has over two hundred species of wild plants, including some national rarities.Between April and May Bluebells carpet the woodlands, with Cowslips in grassy areas. Later in the year you can may find Bee and Pyramidal orchids in the meadows. There are two car parks by Howe Park Wood: one right next to the Parks Trust’s Howe Park Wood Education and Visitor Centre and Cafe, just off Chaffron Way, opposite the Westcroft Retail Park ( SP83003448); and the other just off Howe Rock Place (SP83663420). The linear park has a car park at either end: one by the Tattenhoe allotments, off Rosemullion Avenue (SP84153410), and the other by the Bottledump Roundabout (SP82323265), near to an underpass leading to the park. Other handy car parks are: off Portishead Drive, opposite The Prince George pub (SP82863397) and at Tattenhoe Pavilion (SP83203373), where there are also refreshments and toilets. The Parks Trust, especially the reserve page. This site description is based on Harry Appleyard’s Tattenhoe Guide.